The Parents the the crying child who doesn't want to go to bed, saying 'let us meet in the dream world.' While turning off the light and closing the door, we wished that there was a friend to play with our child in the dream. The parents' wish made Pillow the fairy from the dream world. 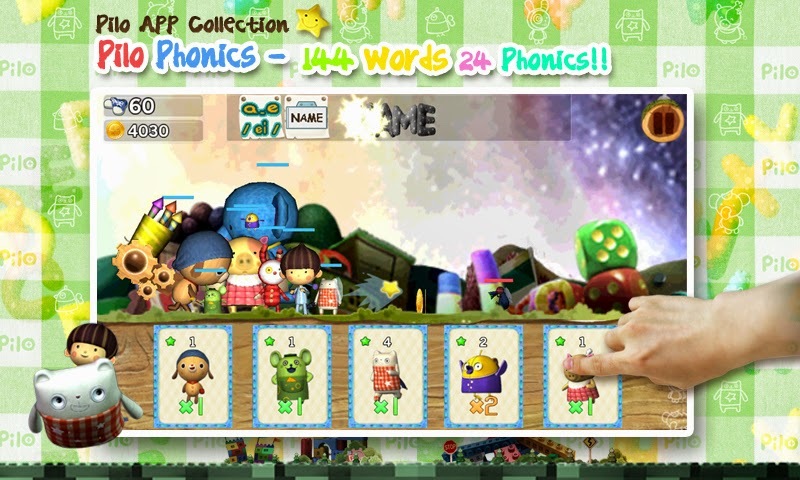 ● English spelling (Spelling) Select the card to complete the phonics sounds and word learning. 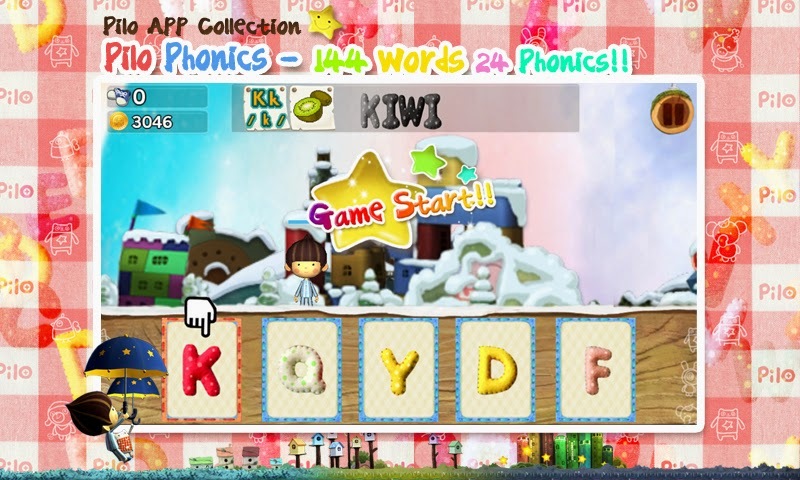 ● The gameplay of shooter games Phonics English language training can be fun. 1. 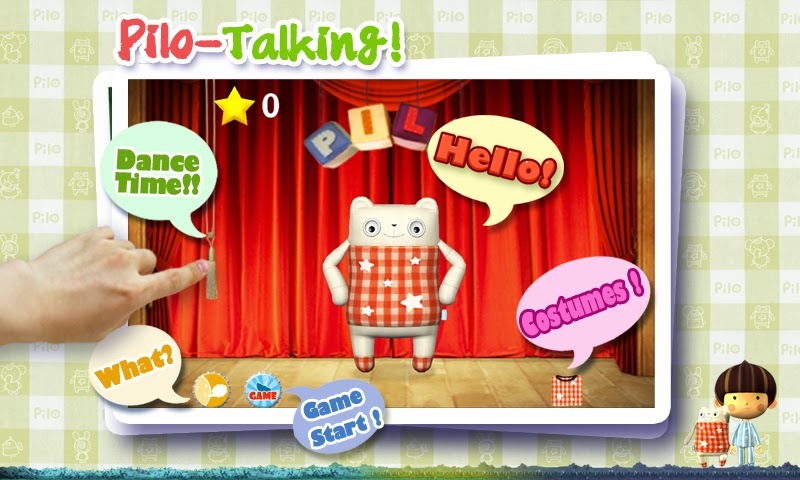 Talk to Pilo, and he will repeat what you said. 2. 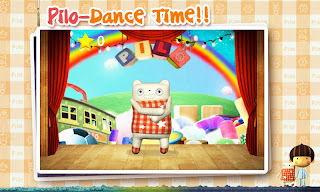 Tap Pilo’s body; Pilo will laugh, dance, and react in various other ways. 3. 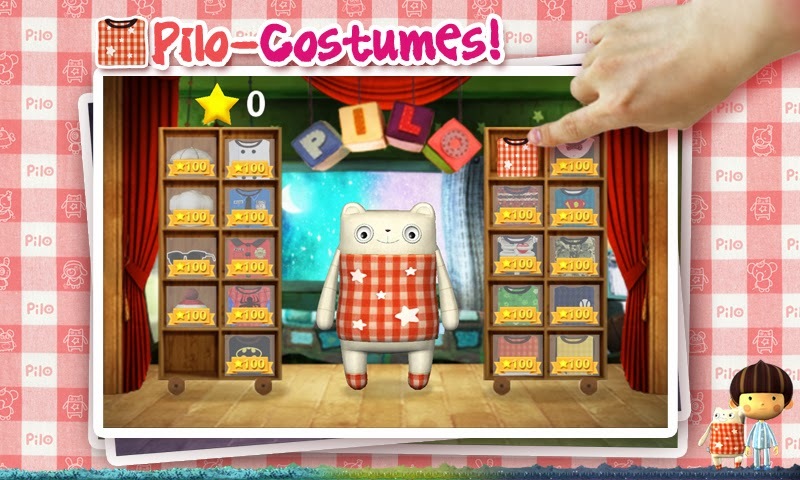 Tap Pilo’s clothes in the closet to dress Pilo. 4. 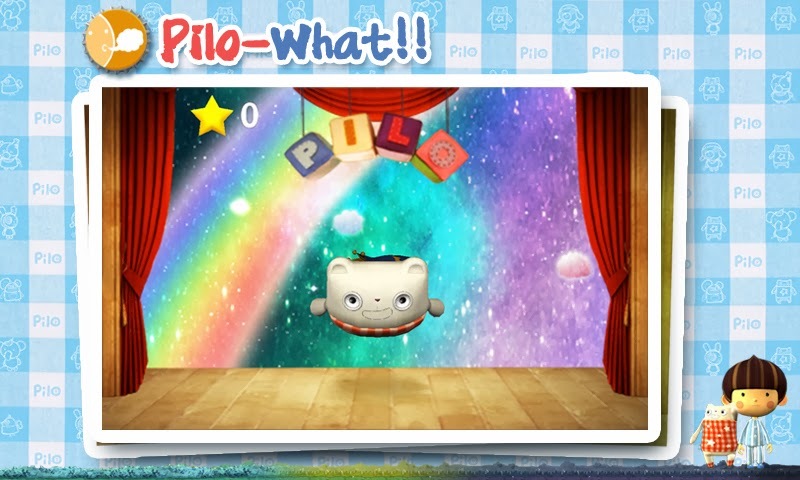 Use sunglasses, hats, and other accessories to create your own Pilo. 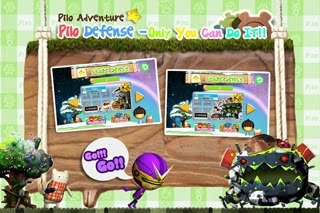 Pilo Defense 3D action-adventure game released!" you're the only one who can do it! All together defend Dreamland against the trash monsters!! Tommy carelessly discarded trash in the real world has been a monster to attack the dreamland. 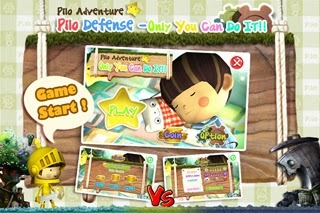 Tommy is now be a hero to protect the root of dreamland, the 'dream tree' cooperate with his toy friends. 2. 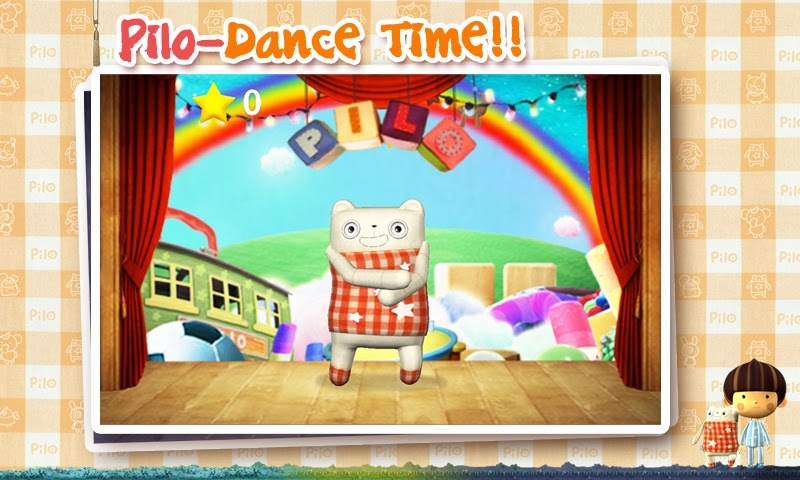 Align each of the English words, he can summon other friends to Dreamland. 3. 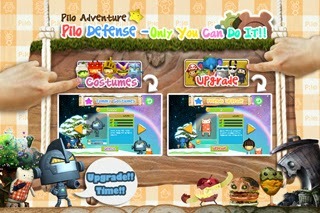 Dreamland friends can grow up to 6 phases and transformed into three stages. 4. 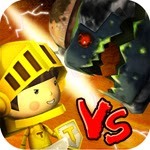 A variety of different sizes and types of monsters, gates, and bosses attack the Dream Tree. 5. Complete the stage total of 90 missions. We would like to take advantage of this opportunity to promote the Pilo character. Most of all, we hope to meet many good people through this big show by displaying a variety of merchandise, and we’d love to find partners that will work with us. 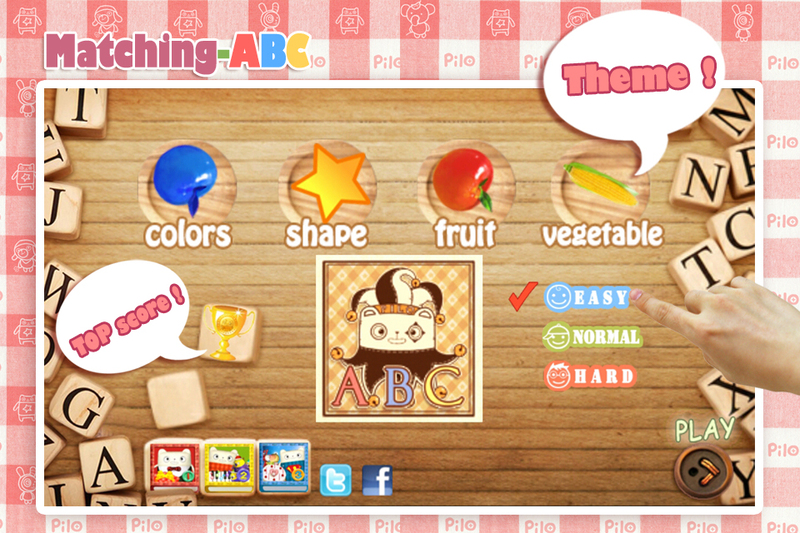 ★ “Matching-ABC” is the second in a series of Pilo mini-games for children. 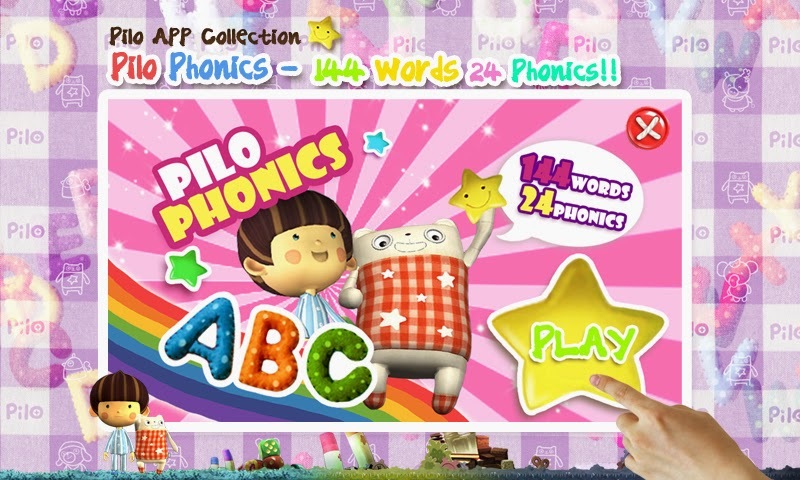 Easy rules and simple controls make English vocabulary fun! 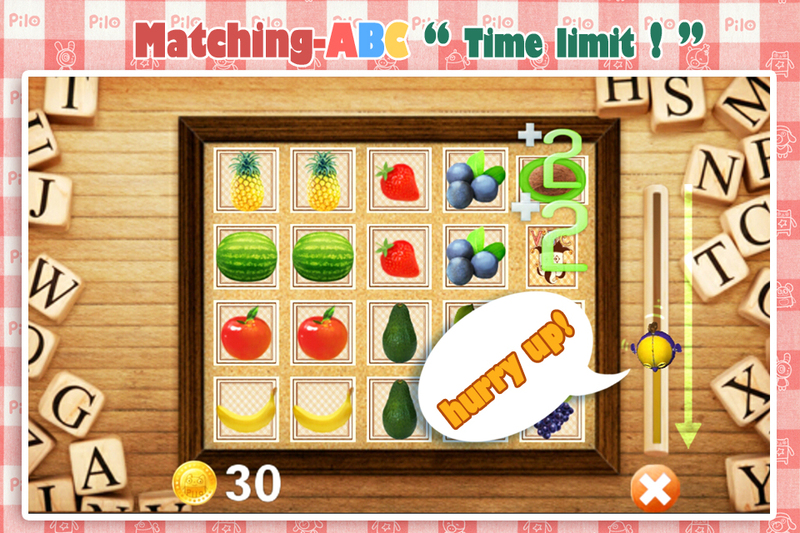 ★ This superb mini-game helps boost children’s memory. 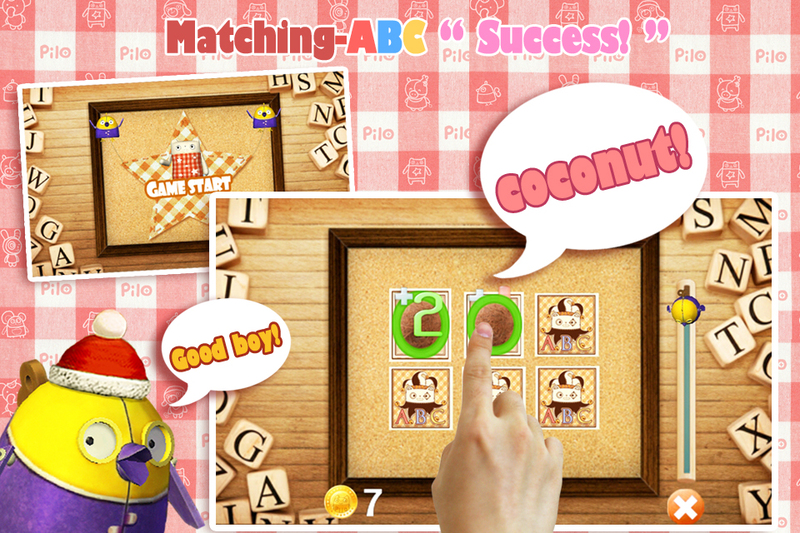 - The Pilo “Matching-ABC” is not just a matching game. 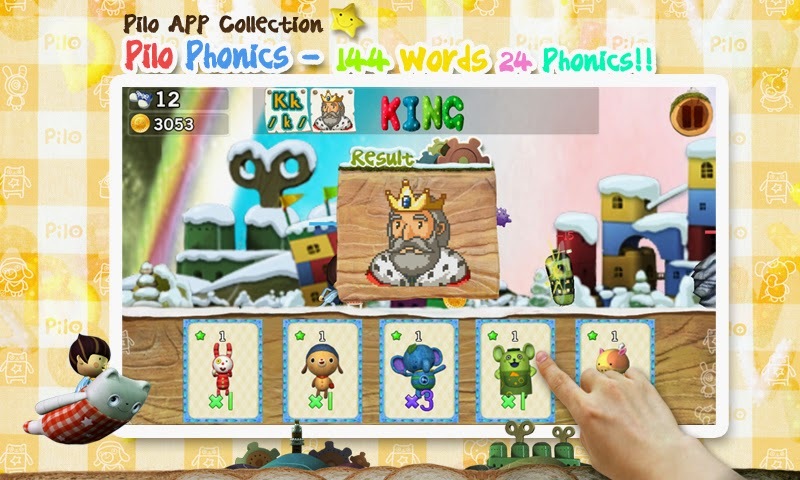 It is a game designed to help children learn and pronounce essential English words by matching card images. - It helps boost children’s memory and brain development. - Selectable difficulty levels provide fun for the whole family. - English themes are updated continuously. 1. This is the main screen. You can select one English word theme among various themes. The difficulty level may be set. The best score at each difficulty level is recorded in the ranking. 2. Touch a card or drag it to see its back side. Finding matching card images earns points; the pronunciation of the English word for the image is also heard. 3. 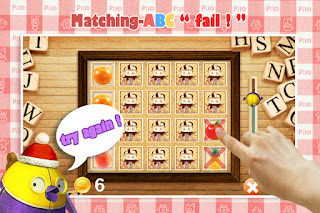 Finding a wrong match does not erase your score. In this case, just try again. 4. A time limit is applied. Pipi starts walking down from the top. When it reaches the bottom, the game ends. 5. Interesting items are hidden on the cards. - Eye item: You can view all cards. - Gold sandglass item: It brings you back to the starting time. * Within this week, services will be unveiled in sequence in each market. 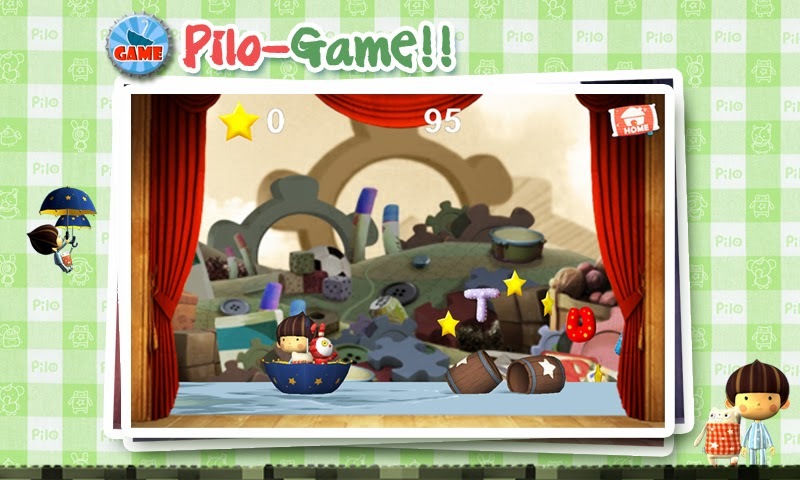 The Pilo mini-games will be released consecutively. 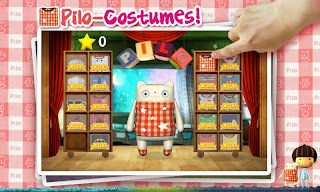 ARCREATIVE’s Pilo the pillow fairy series App – “ Slice-ABC” for free. 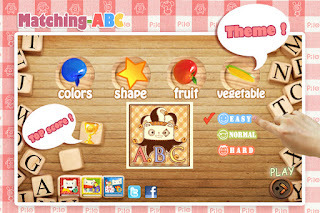 - English word themes - fruits, vegetables, shapes, colors - may be selected. - Upon slicing an object, its English word is pronounced; thus allowing natural learning. 1. At the top, there are four themes you can choose. Upon selection, the image on the plate changes. If the character is selected, an interesting interaction occurs. If the object on the plate is touched, the App starts. 2. 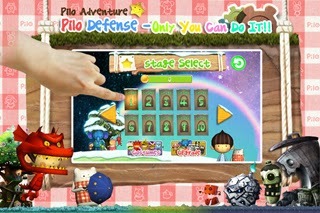 If you select the fruit theme, fruits get thrown up to the sky of Pilo’s dream world. with the recorded English word of the image pronounced. 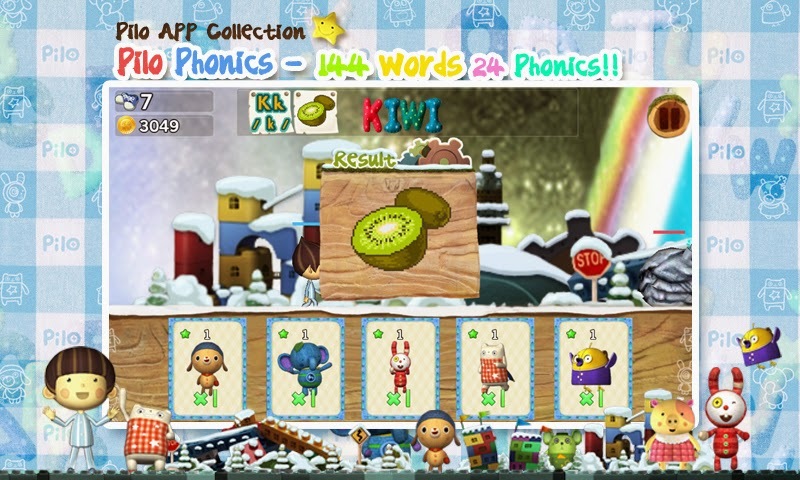 On the bottom left, the score, life (in hearts), and highest score (trophy) are displayed. 3. 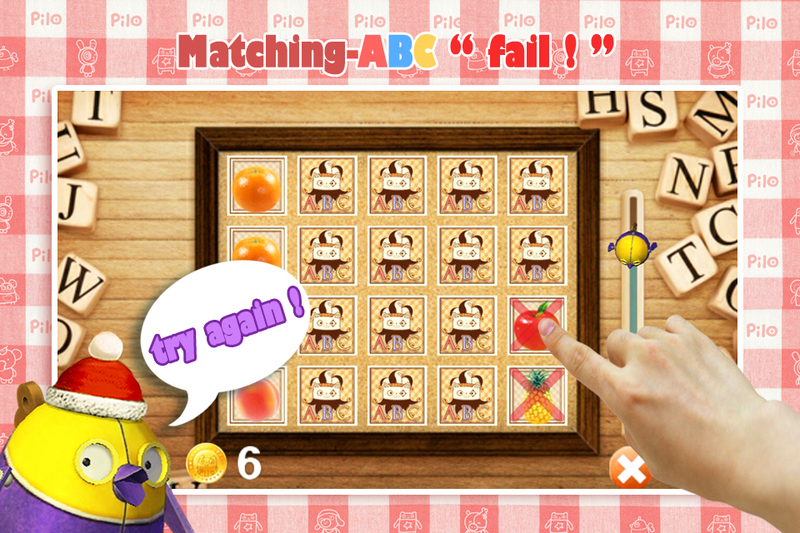 If you select the color theme, apples in various colors appear. the parent can ask him/her to repeat the English word sounds. 4. If you select the shape theme, various shapes appear. 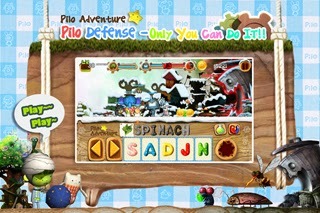 Pilo characters will suddenly appear from behind the fruit. If the characters bouncing off here and there are touched, bonus points will be earned. While having so much fun, you may miss the fruits. If three hearts break, the game ends. 5. 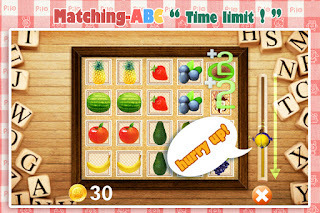 If you select the vegetable theme, many vegetables appear. In the middle of the App screen, you spot something like, ugh, crap! Try not to touch it. If it is touched, the game ends even if there are still three hearts. * Slice-ABC gets consistent theme updates and additional functions. A surprise event is also prepared. 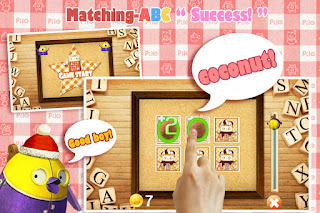 Currently, you can download Slice-ABC free of charge from Google Play and Tstore. on Apple, OZ, Samsung Apps and Nstore, Amazon, and Olleh Market.